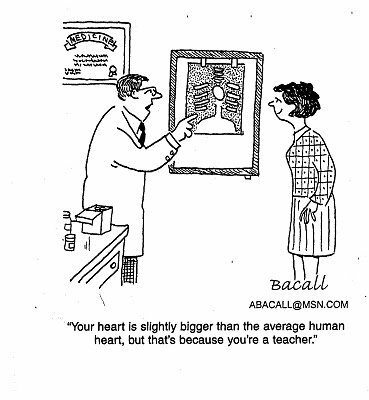 What does it mean to have the heart of a teacher? I found this poem and thought it answered that question perfectly. My prayer is that all my students know I love them even on those days that they are not so easy to love! In a previous post, I told you how much I love Edmodo! Edmodo is a super tool not only for teacher-to-student communication but teacher-to-teacher communication. For this reason, I have started an Edmodo group called TeacherShare. This group will be a gathering place for all those great project based learning activities, lesson plans, presentations, etc. that we have found to be effective learning tools for our students. Please join me as a part of this group. The group code is 2lwwah. In honor of Red Ribbon Week, my students have been practicing this song that I found on Youtube.They beg to sing it multiple times throughout the day. I hope they remember throughout their lives that they are "happy without them!" Special thanks to Gary Eisenberg of Vacaville, CA for this fun song! Why did I wait until today to introduce my class to Google Earth? I got a roomful of oohs and aahs when we traveled from our school to the Baltic Sea to the Red Sea. We were discussing the Earth's water. Our textbook said that the red sea was the saltiest water on Earth and the Baltic Sea was the least salty. What a great way for the students to understand why than to actually see these places! Take time to WOW your students while they are learning! Today, I stayed home from church trying to recover from a horrible cold. That gave me time to look at some of the things on Facebook that I normally pass over. Teaching Resources from Shelley Gray posted the following video on her FB page. I think it is worth every teacher taking the time to view it. "You don't teach soccer on a chalkboard." This statement was recently posted on Twitter by @thetechtiger. When I read it, the wheels in my mind started turning. Do I try to teach my students without them ever being engaged and involved in the process? Sadly, I must admit that it does happen. I praise myself on having an active classroom. My students are a part of reading and math small groups. They work through centers that they must manage themselves. I turn the pen over to our Promethean ActivBoard. Data is assessed to determine students individual needs. My classroom is arranged in groups because engaged learning doesn't happen in rows. Then, science and social studies time arrives. I don't know why I choose the "read the textbook" approach in two critical areas of instruction. Maybe, I am worn out by that time. Is it that so much time and effort are put into reading and math that I have almost shoved those subjects under the doormat? I need to be refreshed! I may have the one who will cure cancer or discover unknown historical treasures in my classroom, and I am doing them a huge disservice. This is a call and challenge to myself to be a soccer coach in science and social studies. I will get my kids "on the field." Merriam Webster defines networking as "the exchange of information or services among individuals, groups, or institutions; specifically : the cultivation of productive relationships for employment or business." Networking with my PLN (personal learning network) is exactly what it says. This group of individuals that I have met through Twitter, Facebook, Edmodo, blogs, and forums are where I learn. Reading Tweets and posts made by fellow educators has been the best form of professional development, aside from National Board Certification, that I have ever been a part. When have you had a question about a best teaching practice and needed the answer immediately? When have you been searching for a certain website or webtool? When have you wanted to share something your students have done well and have someone brag on them? When have you needed a bit of encouragement? Your PLN can and will offer all of this to you! I recently had the opportunity to meet with some of my fellow Twitterers as a part of the Promethean Social Media Advisory Council. What an honor to be a part of such an elite group. It is strange to say, but we were already bound together by one simple tool, Twitter. I would love for you to follow me on Twitter (@WhiteheadsClass). Comment with your Twitter handle, and I will follow you. You can also find me on Edmodo and my class Facebook page. Let us continue learning together! Just call me a paper hoarder! Maybe it is due to the fact that budget cuts were deep when I began teaching and are even deeper now. Maybe it is due to the training from two mentors. Maybe it is the fact that I am just cheap-no THRIFTY! I have a hard time throwing out a sheet of paper. If it has an unused back, I keep it. We can use it for a word web. If it has an area that is unused, I cut it up into smaller piece for notes, bookmarks, etc. I have my students continuing today's work where they left off yesterday. Sometimes, they end up with a whole week's worth on one page. I will shrink and run worksheets where their are two copies on each side. I've been known to have 4 pages on one. Our school secretary gripes at me constantly for doing this. She refuses to let me have any scrap paper! I would love to say I do these things to save the environment, but I don't think I honestly can. I have decided it is because I'm cheap! Do you ever find a site that your students love? A site that is easy enough for them to use without a lot of instruction? A site that gets them to writing? That is what I have found in ToonDoo. ToonDoo is a free online cartoon creator. It has a simple drag and drop interface. I created one class account so I could monitor the students' ToonDoos and interaction. This week, our story, Coyote School News, is about a family who works on a ranch. My students spent time online researching life on a ranch. Then, they had to blog about what it would be like to live on a ranch. Finally, they had to create a ToonDoo with a ranch them. You can tell by viewing these ToonDoos that the students had a great time being imaginative! We have spent a lot of time discussing main idea. The students had to use this skill so their ToonDoos wouldn't be wordy. My students loved ToonDoo, and I know yours will, too!. As I was thinking of something I must have in my classroom, only one thing came to mind. That is friends who we can collaborate with, bounce ideas off of, share triumphs, and tackle problems. I have been blessed with many great teacher friends in my career. Some are at my school. Others are at neighboring schools. Several even live in other states. There are friends in administrative positions. Even friends who teach at local universities. Each and everyone of them have somehow influenced my career as a teacher. There is no way I can begin naming each and everyone of them. You know who you are, and I love each and everyone of you! 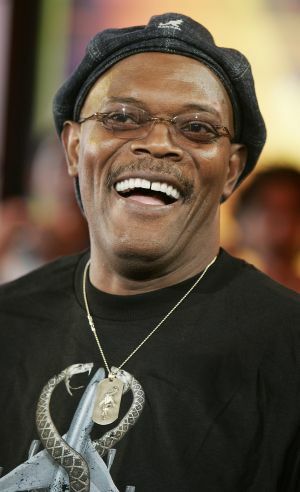 Samuel L. Jackson and education! Strange pair, huh? While I was watching "CBS Sunday Morning" before church, there was a segment on Samuel L. Jackson. He was discussing his current Broadway play where he is playing Martin Luther King, Jr. Oh, that's how he correlates! Nope! He went further to discuss how he got into acting and all the many movies in which he has starred. He made the comment that he loves to watch himself in his movies. Why? He said why should he expect others to pay to watch him and enjoy it if he didn't enjoy watching himself. This got me to thinking. Would we enjoy watching ourselves in the role of teacher? Would we like what we saw? Would we love our teacher and want to be like her? Would we enjoy learning in a safe environment? Would we be made to feel successful even if it's a small step? During my National Board Teacher Certification process, I had to video and analyze my teaching. I quickly became aware of changes I needed to make, but I also saw some great things going on in my classroom. I encourage each of you to see your teaching from your students' points of view. You might just like what you see! As teachers, we are always looking for ways to make our teaching easier. We want to find activities that engage our students while they are having fun learning. VocabularySpellingCity does this. Plus, it's free to create an account. Once you have an account, you can save spelling lists for your students to use. VocabularySpellingCity offers 14 free spelling games that can be completely customized to use with your students' spelling lists. You can enter your own lists or use those you find on the site. You may find your spelling series' lists under the Forums section. You may want to use one of their precreated lists that is located under the Teacher Resources section. Here, you will find lists for such things as math and science vocabulary, Dolch sight words, compound words, and multiple meaning words. If you still don't find what you need, look under the Find a List section and search by teacher or list name. Once you have imported the lists into your account, your students can play the free games to study for their spelling tests (which you can give online through the site!). The games work perfectly on your interactive whiteboard. Many of the games can be printed to create customized worksheets. The handwriting printables are great! There is a premium version that costs $49.95 for a year for a group of 30 students. Your premium membership will open up even more games, vocabulary practice, and record keeping. 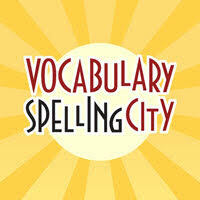 I strongly urge you to try VocabularySpellingCity. My students and I love it! My favorite education quote has to be "I like a teacher who gives you something to take home to think about besides homework." by Lily Tomlin as Edith Ann. I have had others complain that I don't give enough homework. (It has never come from a parent, though!) Usually, my students have a little bit of math if they didn't complete it in class and some studying. I feel it is important for students to have a life outside of school. We, as teachers, complain when we have to take things home to work on, so why do we expect our students to do it. I teach full force from 7:45 to 2:30. Surely, my students have worked hard enough! I want them to enjoy school, enjoy home, and enjoy being a kid. During the day, we should touch our kids with new knowledge, a good story, a kind word, an art activity, a joke. School is so much more than just reading, writing, and arithmetic. Although, that is the ultimate goal, I want my kids going home knowing that they are in a class where their teacher and classmate respect them. I want them to go home with good memories of school. One of my favorite sites is Edmodo. Edmodo is a free "secure social learning network for teachers and students." I first began using Edmodo as a professional learning network. This year, I began using it with my students. My students and parents love it! On first glance, Edmodo looks like Facebook. There is one twist. It is very, very secure. You can create a class group where only you, your students, their parents (with a special invite code), and invited guests can correspond with each other. My students love the Facebook feel. My parents and I love the security. Edmodo is so much more than a social network platform. As a teacher, you can use it to create assignments, share links, communicate with your students about homework, etc., and offer encouraging words. 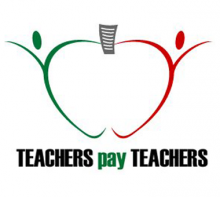 As a professional, you can communicate with other teachers throughout the country. You can post a question and within minutes receive a response. Edmodo is a staple in our classroom. My group of 4th graders is learning digital citizenship in a hands-on matter. Have I ever had a student use the site inappropriately? No! They have known from the first day that their parents can view whatever they do and anything they post goes straight to my phone. Edmodo is a powerful tool! A must have in my classroom is our Morning Meeting time. This is a special time where each child is made to feel special. It quickly sets the tone for the day. We begin each morning sitting in a circle so we can see each other easily. We go around the circle and greet each other with a good morning and a compliment. We then move into reciting our rules and Whitehead's Wisdoms. After that, the students and I read a special letter I've written to the class. The letter contains a positive note from me, information about the day, and a spin off question that leads into our sharing time. The question ranges from something silly that happened on that day in history to what it means to respect others. Each child is given the opportunity to share what is important to them. This is my first year to do Morning Meeting. The 10-15 minutes that we invest in this time everyday has made a dramatic impact in my classroom. Each child knows he/she is loved and respected not only by me but by each child in the class. I wonder why I never did Morning Meeting before!